The pains and anguish suffered by the people of Oke – Ogba Community in Akure, the Ondo State capital as a result of the deplorable condition of the road network have been brought to an end by Governor Oluwarotimi Akeredolu, SAN. You will recall that Governor Akeredolu flagged off the construction of the 6km Road covering Iyange, Ogunmolayan and Ijaro last year. Less than one year on, the road is wearing new look and has reached an advanced stage of completion, with the asphalt being laid, all to the admiration of the people. Oke – Ogba Community is one of the highly populated areas in Akure, but bad road network and lack of other infrastructure has left many house owners in the area at the mercy of deep suffering, especially during the rainy season. 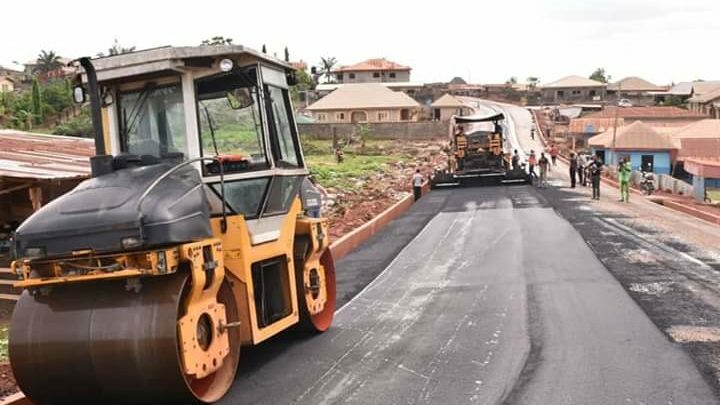 Oke – Ogba road is among many other road projects been executed by the Akeredolu’s administration in his bid to transform and improve the socio – economic activities of the state. The General Chairman, Landlord Association, Oke Ogba, Prince Joseph Ekunola described the projects as laudable and monumental in terms of quality.